An Drochaid (The Bridge) Museum is located in Mabou (60 km / 37 mi from the Canso Causeway) on Cape Breton Island. Formerly a general store (c. 1874), the building now serves as a centre for research and local music, Gaelic language activities, cultural activities, local artefacts, and genealogical and historical records. 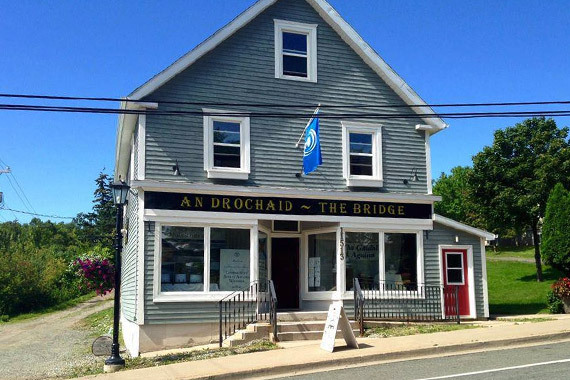 Throughout the year, An Drochaid (The Bridge) hosts a series of ceilidh concerts, storytelling, a Gaelic conversation group and lessons, and music and dance lessons. Bus tours are welcome.